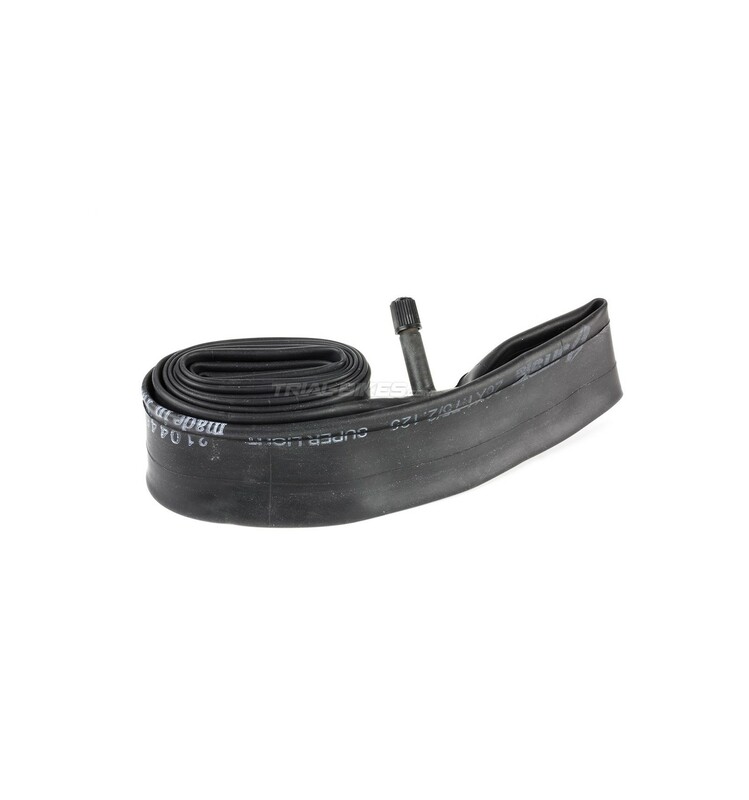 - High quality Jitsie inner tube, for 24” bikes. - Specifically designed for BikeTrial, therefore being a lot stronger than standard tubes. - Ideal to avoid sudden punctures seen in low-quality inner tubes. - High quality butyl construction, with a 0.9mm thin wall to help reduce weight to a minimum. - 24”X1.75/2.125 dimensions, so it can be used as a front or rear inner tube. - Suitable for all 24” rims. - Standard schrader valve, with black plastic cap. - Supplied in a customized Jitsie box.